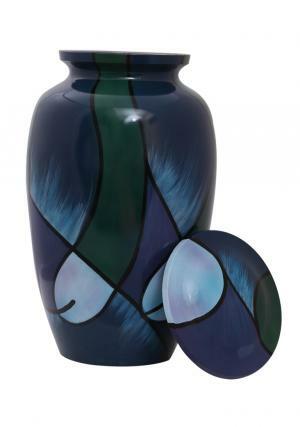 Hand Marked Quality Aluminium Adult Ashes urn is hand painted with glossy finish to reflection and smoothness. 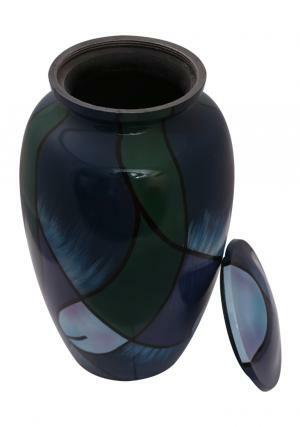 The urn is made of quality aluminium with feature as less weight occupancy with respect to other metal urns. 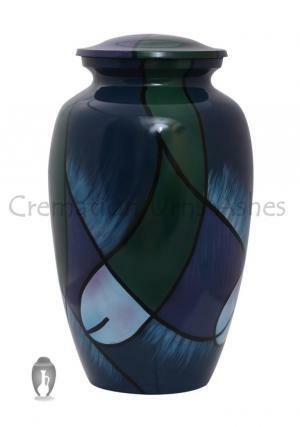 The large adult ceremonial ashes urn is enameled in green and blue to perfection. 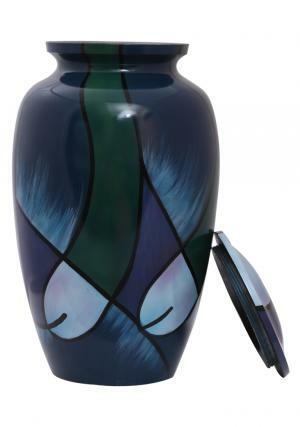 The hand made aluminium urn is less in weight which is 1.34 Kg and easy carriable to hold ashes of 200 cubic inches. 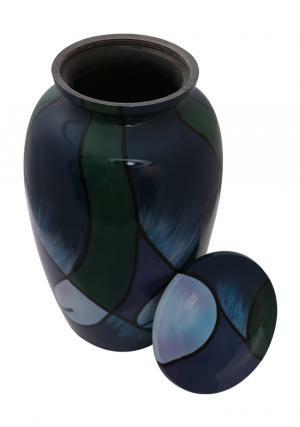 The urn measures to be 11 inch tall and width of 5 inch.